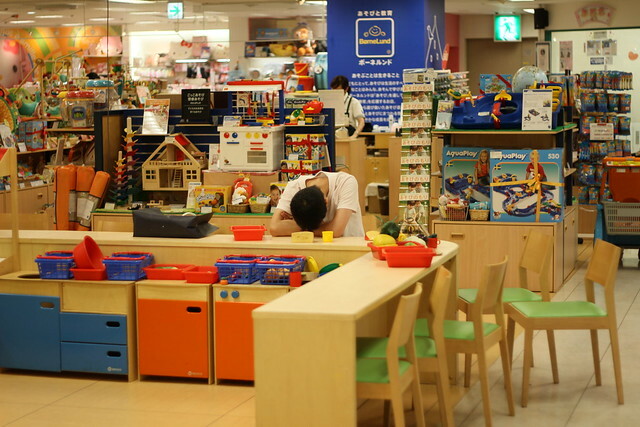 A parent resting in SOGO mall, I think his child was playing around in the toy section. This scene is common in trains as Japanese tend to be relentless workers. 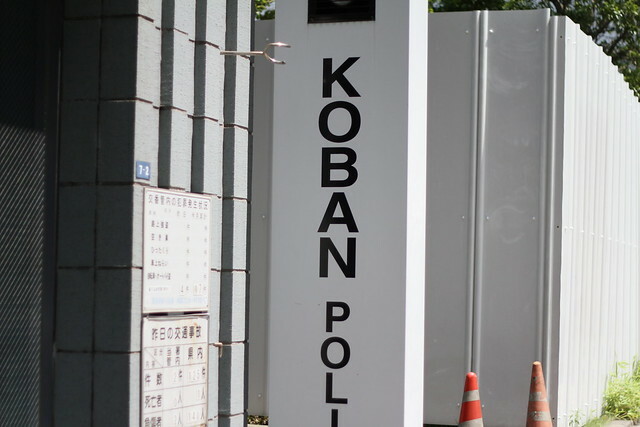 A Koban in Minato Mirai 21, these are compact looking police station buildings. I always think these buildings look miniature. 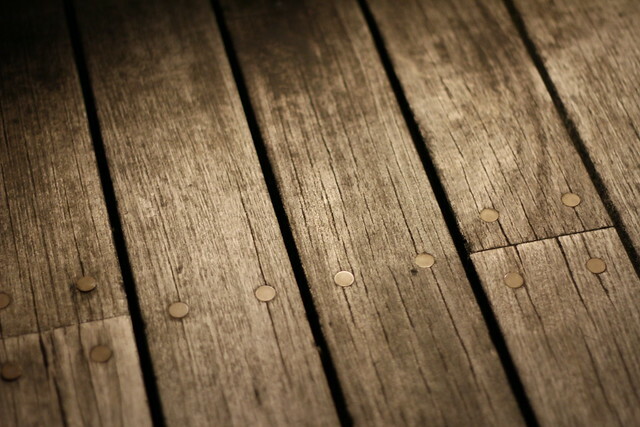 A nice pattern on Queens mall deck at night. 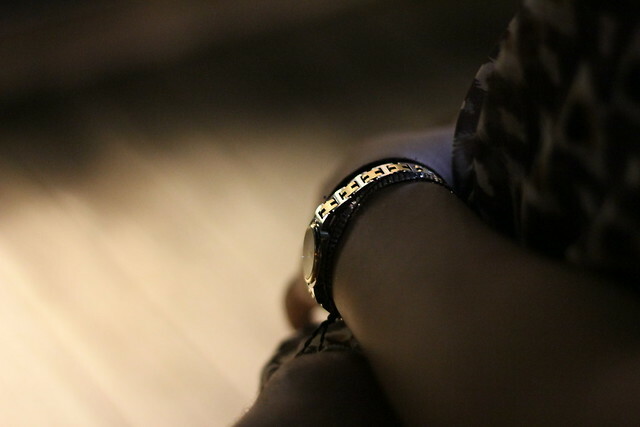 This image was taken at night on the Queens Square mall deck. 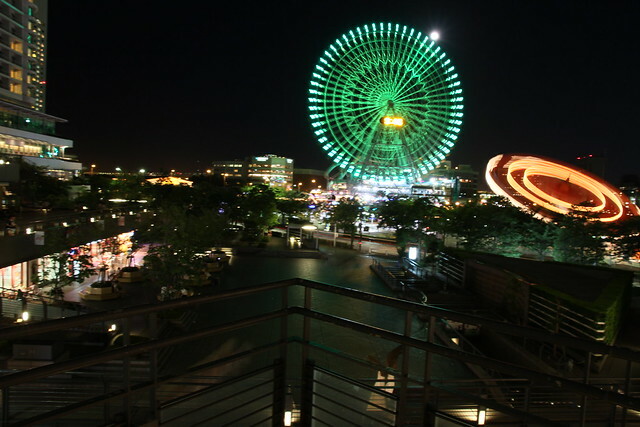 It has a great view of the ferris wheel in the Minato Mirai area. Queen's Square mall deck at night. Nice haircut. In SOGO mall. 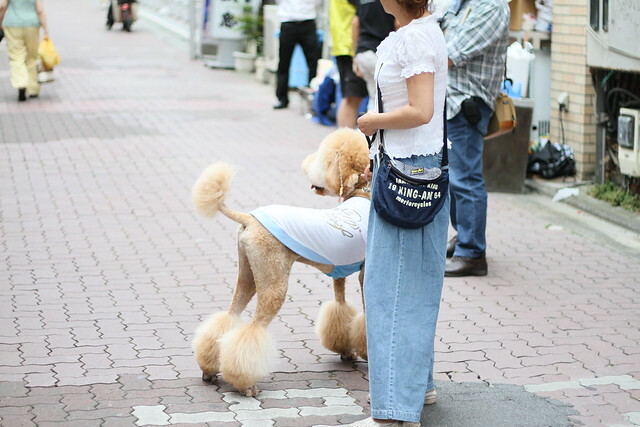 A lady with her dog in Hiratuka. I never thought I would see the Harry Potter font used with different characters other than Latin letters. 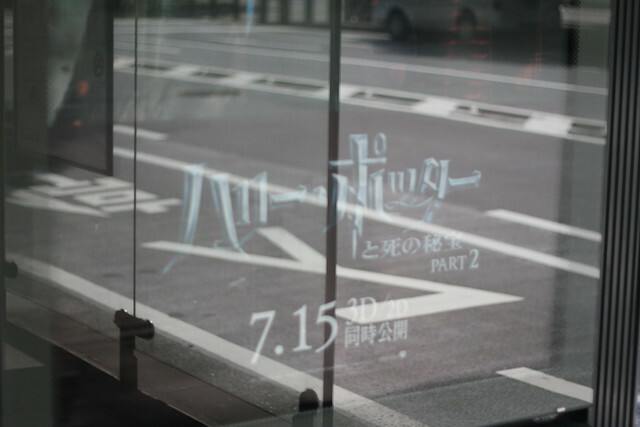 Japanese Harry Potter ad (not a fan by the way, just never got into it). I have many more awaiting so they should be coming soon. Daniel, como te va con tu promoting page?